Have a hankering for pecan pie or pecan cobbler? A must have! 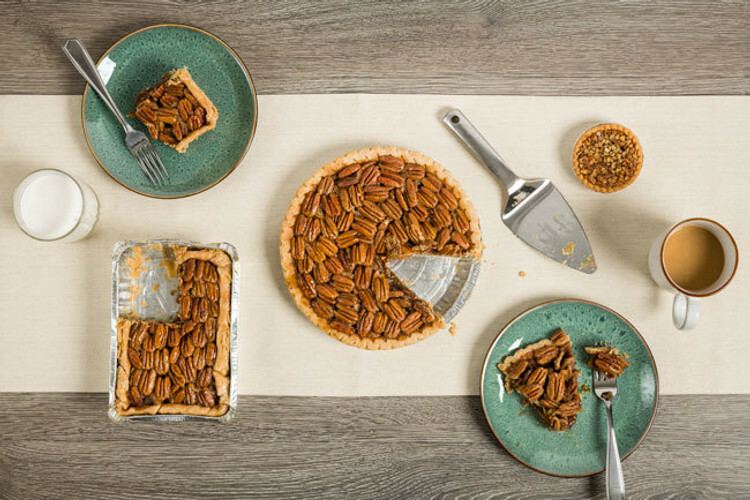 Aunt Eula’s Grand Champion Pecan Pie or Cousin Ruby’s “To Die For” Pecan Cobbler is packed full of beautiful golden deliciously crunchy pecans in luscious sweet filling surround by a flaky buttery flavored crust. Mini Pecan Pies, smaller versions of Aunt Eula’s Grand Champion Pecan Pie, are delicious treats packed with the flavor of a regular size pie. Pecans.com selection of pecan candy treats are perfect to share with friends, co-workers or as a gift for the holidays. Who can resist pralines? This sweet Texas tradition comes by the dozen in several flavors to choose from. Pecans.com Jalapeno Pecan Brittle creates a sweet & spicy crunch that brittle fans will love. Fudge lover? Pecans.com scrumptious fudge flavors: chocolate, chocolate-butter pecan, peanut butter, salted caramel, vanilla and vanilla with pecans are heavenly beyond belief. Order online or call Pecans.com today to speak with a knowledgeable and friendly pecan expert to place and order.